Click this image to be routed to our facebook page - we offer weekly giveaways every Tuesday for all of our facebook family. 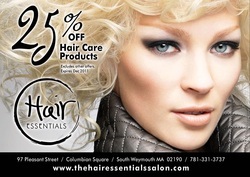 Don't miss out on any of our specials, promotions, or VIP offers! 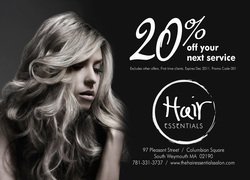 All First Time Clients receive 20% off their service when they mention this promotion! If you are looking for a new salon, stylist, cut or color - this is the perfect opportunity for our award winning staff to focus on making you feel and look your best!! We carry a wonderful variety of products - Including Paul Mitchell, Sebastian, Matrix, Global Keratin, CHI, Biolage, and so much more. Please accept this First Time Offer to introduce you to any one of these great products. Every one of our knowledgeable staff can assist you in finding the perfect match for you.